We’ve reviewed an awful lot of kit since our last buyer's guide and even revised our scoring system, but will any of this new kit be good enough to make it into our buyer's guide? One of the items we thought would be leading the charge into our recommended list was the gigantic SilverStone Temjin TJ11. Unfortunately, though, when we finally got the beast into our labs we found ourselves disappointed, as it was ludicrously expensive and not quite as flexible in terms of cooling as the TJ07. On a similarly gigantic scale was the PC-V2120 which, while beautifully made, was again ridiculously expensive. We’ve also seen the NZXT H2, which thankfully sat at the more reasonable end of the price scale. 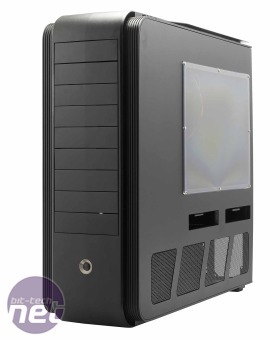 The case competes directly with the Fractal Design Define R3 and offers a tidy, sleek home for your hardware. We’ve also been working through the backlog of CPU coolers that have turned up at bit-tech HQ, and this last month-and-a-bit has seen eight CPU coolers flit through our labs. Of these, the two Be Quiet! entries - the Dark Rock Pro and Dark Rock Advanced - were the stand out products as they offered excellent cooling and ran whisper-quiet too. We also found some dogs, though, with the Xigmatek Dark Knight and the Nexus VCT-9000 both worth avoiding. However, the Thermolab Bada impressed us, given its size, and the Alpenfohn Matterhorn gets an honourable mention for being one of the quietest coolers we’ve ever had the pleasure of not hearing. There have been a few notable releases at the ridiculously high end of the market too, with the Nvidia GeForce GTX 590 3GB, the Gigabyte G1 Sniper and the Intel Core i7-990X all arriving since our last buyer's guide. Products at this end of the market rarely offer great value for money, but at least the GTX 590 3GB had enough raw performance for us to see where our money went. The £800 i7-990X on the other hand gets almost overshadowed by the £150 i5-2500K, while the G1 Sniper offers little extra performance or overclockability than the cheaper Asus Sabertooth X58. We've also has the pleasure of reviewing two of the most overclockable graphics cards we’ve ever seen. Both the MSI HD 6850 Cyclone Power 1GB and the KFA2 GeForce GTX 560 Ti 1GB LTD OC walked away with Recommended awards, which is no easy task in the busy mid-range graphics card market. A quick mention also goes to all the speakers that we’ve using to abuse the PC Pro staff who share our labs. The Corsair SP2500 and the Teufel Concept D 500 THX sets were the pick of the lot, but they're also some of the most expensive 2.1 sets we’ve ever seen. If you don’t have upwards of £200 to drop on a new 2.1 setup, then the Altec Lansing VS2721 set offers a decent balance between price and performance. How Does Our Buyer's Guide Work? We show an average price that you should be looking to pay for the products we've recommended, and then an overall budget for each of the PCs we've designed. This is in response to the fact that prices fluctuate over the month, and products go in and out of stock, not to mention the included cost of delivery for all the parts that we need to take into account - and everyone has their favourite retailers and e-tailers too. The Affordable All-Rounder is highly budget-conscious, but still offers plenty of gaming potential and an upgrade path. The Enthusiast Overclocker system is for those who want to squeeze out the most performance, although not necessarily the most MHz, for their money. It has tonnes of gaming grunt for the best use of little cash. The Gaming Workhorse offers supreme performance for the heavy multi-tasker and gamer, while staying firmly under the grand mark. Finally, our Premium Player package is for those who want the latest, highest-performing kit with excellent cooling that won't sound like a hive of angry hornets, and without going way into the thousands. As always, we write the buyer's guide not as a definitive must-buy list, but as a monthly update of systems and parts we know will work well together within a particular budget. Take what you want from each build - from affordable, capable PCs to gaming behemoths - whether you want just a few bits of hardware for an upgrade or the whole system. We sift through the mass of hardware and recommendations, choose the best from what we've tested and what we know to be good, and then set up the above PCs to fit several budgets. Our monthly guide to getting the best components for your PC build, whatever your budget. Google has announced that its Chrome browser now has 160 million users worldwide.